1. We don't know what it is. Well, you might, but in a survey of 1,024 American adults conducted earlier this year, the PMC found that 62% of Americans were unfamilar with the term. Only 10% had talked about it with their doctors. These results are a little discouraging, but there is a silver lining. When people were told what the goals of personalized medicine are, two-thirds were had positive feelings about the possibilities of an individualized approach to medicine. Personalized medicine relies on genetic information. 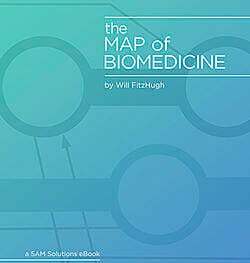 An interesting case of a large-scale project to collect and use genetic information to improve health is FarGen. FarGen is a project that seeks to sequence the genomes of the 50,000 residents of the Faroe Islands, a small country between Scotland and Iceland. Like any high-minded project of this size, it is fraught, and interesting lessons are bound to come from it. Bust the barrier: The more patients and doctors learn about personalized medicine, the more they'll ask for it. In an article appearing in Genome, Edward Abrahams, president of the PMC recommends that patients start asking their doctors a simple question, "Do you [expect] that this drug will work for me?" 2. Privacy. Effective personalized medicine relies on large amounts genetic data. That data has to be collected, analyzed, and shared. The issue is that many people are wary of what happens once their genetic data is out in the wild. Who does it belong to? Can my boss find out about my genetic predisposition to a serious disease? Can my insurance company cut me off because of it? Bust the barrier: Again, it comes down to effectively communicating to patients what they can reasonably expect. Patients can expect that ultimately their health data belongs to them. If they've participated in clinical trials, in some cases, they can have their data back and share it with their physicians and that their identities will be protected. HIPAA and the Affordable Care Act protect patient privacy, and the 2008 Genetic Information Nondiscrimination Act (GINA) ensures that your boss can't fire you and that your insurance company can't dump you because of your genome or family health history. 3. Family history. Many of us don't know enough about our family histories, and that's too bad, because that can be the first -- and least expensive -- way to understand our own genes. Knowing about the conditions that our parents, grandparents, siblings, aunts, and uncles suffered from can help us to make sound decisions about our health. Genes are a factor in your future health, but they aren't crystal balls. For example, knowing that your grandparents died from complications caused by Type 2 Diabetes doesn't mean that you're guaranteed to suffer with it. It does mean that you can be proactive in controlling or preventing the disease. You can work with your doctors to make lifestyle choices and begin therapies that could keep the illness at bay. Bust the barrier: At Thanksgiving, when you ask your family members how they're doing, ask them how they're really doing. While you're at it, find out about how your grandparents and other relatives died. It could save your life. 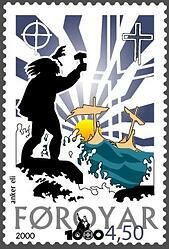 Image "Faroe stamp 360 arrival of christianity". Licensed under Public domain via Wikimedia Commons. The government of the Faroe Islands is attempting to sequence the genes of all of its 50,000 residents.